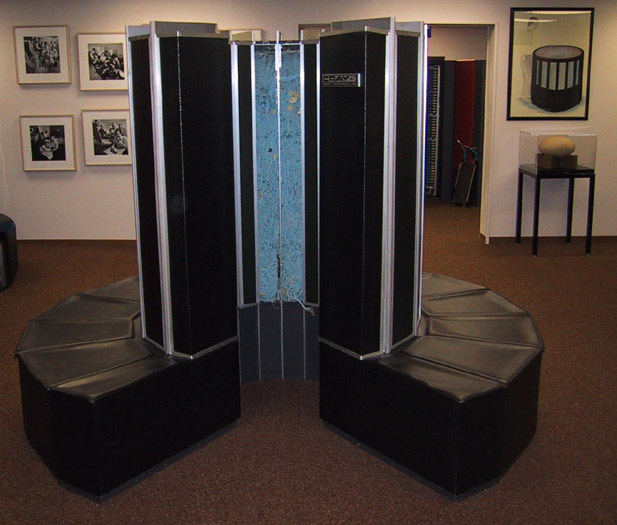 The Cray-1 "serial number 1" : The original machine that started the company! 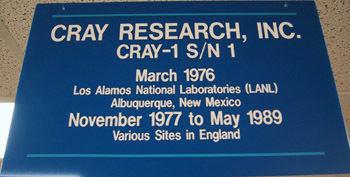 First shipped from the Hallie Lab in 1976 to Los Alamos Scientific laboratory. Fortunately they liked the machine so much they bought it. 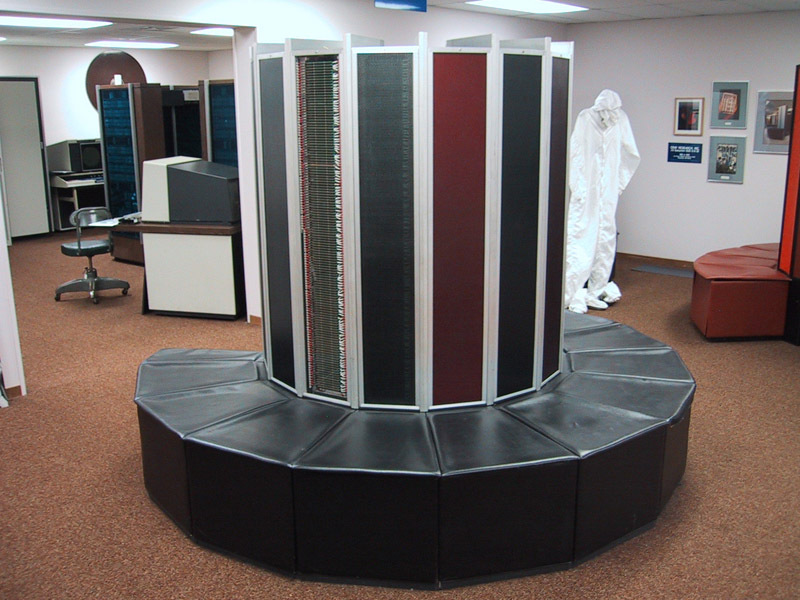 Eventually "serial 1" would be installed at half a dozen sites where it would impress so much that customers bought one. 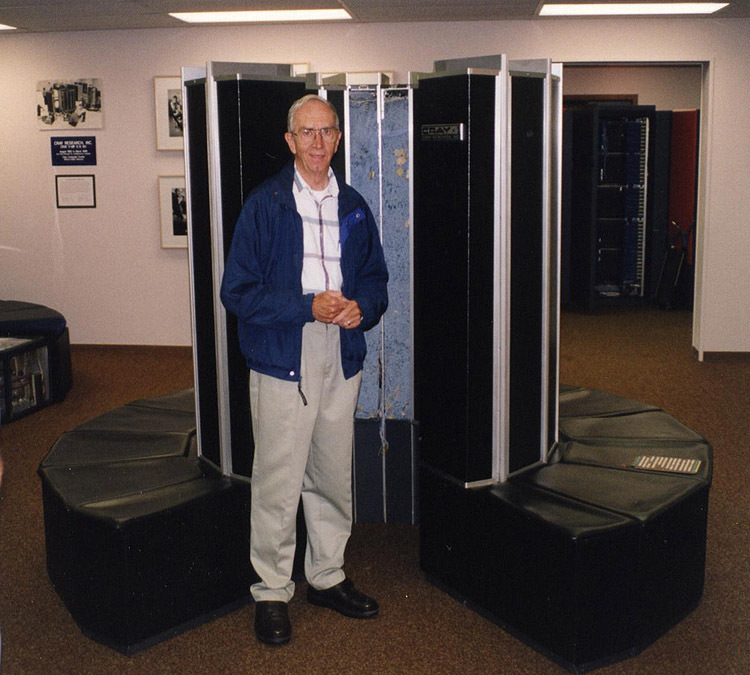 I was most fortunate several years ago to be given a tour of the museum by Les Davis, who gives his time to the museum as a volunteer. When we came to Seymour Cray's desk he told me that Seymour liked his desk to be free of clutter. 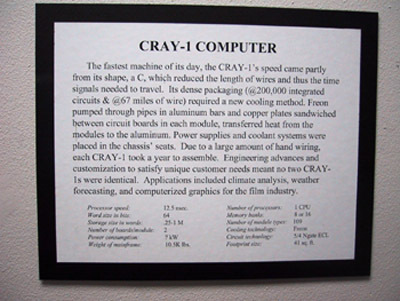 In the picture you can see a sign which states that this was Seymour Cray's desk and a photograph of the forest. These have been added by the museum along with the forest scene behind the desk to show that his only inspiration was the view of Chippewa from his desk. Les Davis said that when ever you walked past his office and Seymour was not in you only ever saw the work book and a pencil and both items were always lined up parallel. ABOVE: SN1 During it's visit to the the UK. LEFT: A picture I am very proud of. After Les Davis finished giving his tour of the museum I got him to pose for me in front of Serial 1.